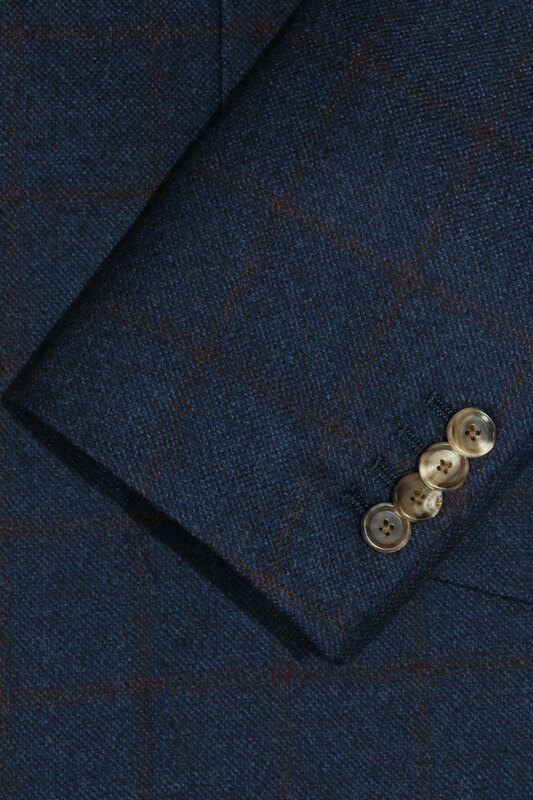 This Blue with Red Wine Check Overcoat is a classic Winter statement piece, with a hint of a British influence. 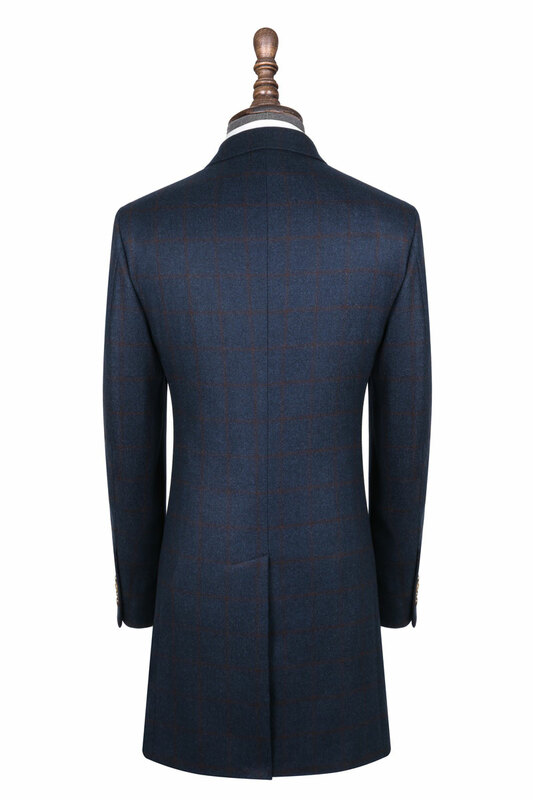 Constructed of Woolmark certified 100% Australian Merino Wool. 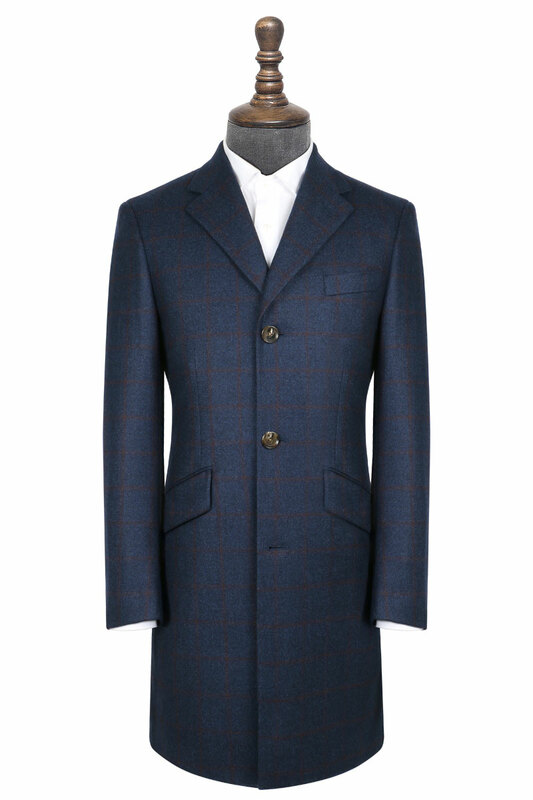 This overcoat shows unique touches such as kissing buttons, however is customisable to your liking.